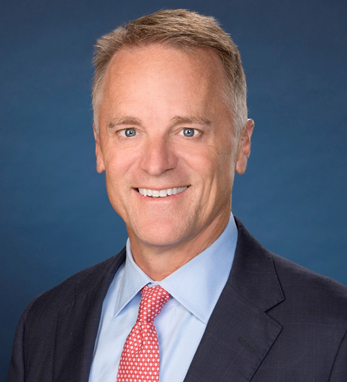 Mike Mahoney is CEO and chairman of the board of Boston Scientific Corporation, a global medical technology leader with more than $8 billion in annual revenue and commercial representation in more than 125 countries. Since joining Boston Scientific in 2011 as president, he has focused the company on addressing the needs of the evolving healthcare landscape by driving improvements to patient outcomes and increasing healthcare economic efficiency and access. Under his leadership, Boston Scientific has brought many transformational medical devices to market. He became president, CEO, and a member of the board in 2012 and was elected chairman in 2016. Mahoney’s career spans more than 25 years of success building market-leading medical device, capital equipment, and healthcare IT businesses. Prior to joining Boston Scientific, Mike held prominent leadership roles at Johnson & Johnson, Global Healthcare Exchange, and GE Medical Systems, where he spent the first 12 years of his professional life. Mike serves on the board of Baxter International and the American Heart Association leadership council. He earned a B.B.A. in finance from the University of Iowa and his M.B.A. from Wake Forest University. He is married and has three children.